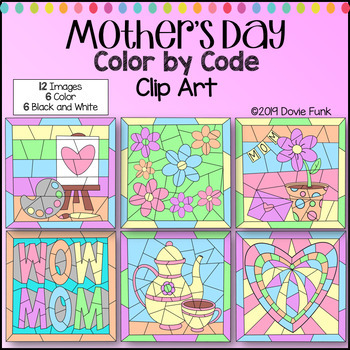 This resource includes twelve Mother's Day color by code clip art images ready for you to create something wonderful! Solve and Color, Color by Number, Color by Sight Word ....... The possibilities are ENDLESS! There are six color images and six black and white. Black and white images have a clear background. PLEASE NOTE: This clip art is also included in the Summer Mystery Color by Code Bundle. Images may be used in freebies and paid products as long as credit is given back to my store. You can copy and paste the web address HERE. Your resource must be compressed into a pdf file to ensure clip art cannot be lifted. Click HERE to see all of my clip art. New items are being added daily! Be sure to FOLLOW my store as I will be posting new products very soon! All resources are HALF OFF for the first 24 hours!